Welcome, students and alumni! As you are thinking about college and career planning, the Career Services department is here to help provide you with the information and resources to help you navigate the path successful. Please look at the services that are available to you below, and feel free to click the appointment link, call 870.864.8421, or stop by room 243 in the Conference Center. If you are a high school student or the parent/guardian of a high school student, you can view available resources here. Greeting! Wecome to the Faculty and Staff section of Career Services. Here you can view a list of topics available for classroom presentation (or presentations to student organziations) and make a request for us to come visit. You can also learn what services are available so that you can refer students to come and have a session to help meet their college and career needs. Additionally, if you would like to serve as a New Student Mentor or Academic Development Mentor, you can sign up here. Major Exploration Students will learn of the many opportunties available at SouthArk as well as other opportunities that may best suit them. Have you helped a student with career development? Let us know by clicking this link. Employers, welcome! There are numerous ways you can connect with SouthArk's Career Services department and SouthArk students. We are excited about the possibility to connect with you through communication and partnerships. Post a Job (Job Board) Use this link and please include the Company, Position, Salary, and Contact Person. You may also attach a job description if available. Help with Mock Interviews SouthArk's career services conducts interviews skills sessions and mock interviews with current students and alumni. If you would like to help provide an even more realisitc setting by helping with mock interviews, please click here. Connect with a Student Organization SouthArk has many student organizations that helps develop students. If you would like to connect with a student organization or learn more information, please click here for a list of the organizations and to contact the organizations sponsor/advisor. 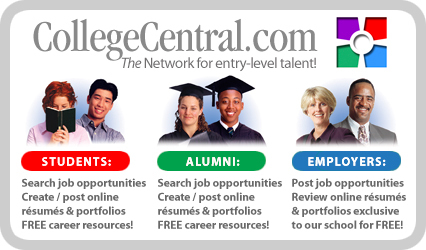 South Arkansas Community College uses College Central Network as its official resume and job posting service. SouthArk's Virtual Career Center is your self-guided, one-stop destination for career exploration, job searches, resume-building, and more. 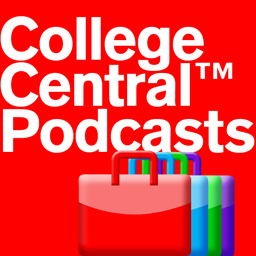 SouthArk uses College Central Network as its official job resource and resume system. Students, alumni, and employers can easily create an account here. It's easy to get started! Students, easily apply to jobs and Internship/Apprenticeship opportunities posted exclusively for you. Create and upload your resume and career portfolios to market yourself to employers. Access our events calendar, career/job search advice documents, podcasts, videos and more. Employers, search for talented students and alumni and post unlimited jobs for free! Professionals, SouthArk staff, alumni, click here to become a mentor to SouthArk students. O*NET: Database that includes information on skills, abilities, knowledge, work activities, and interests associated with thousands of occupations. Occupational Outlook Handbook:Guide to career information for hundreds of occupations developed and provided by the U.S. Bureau of Labor Statistics. Housing assistance and other services. Emergency housing, meals, homeless shelter, food pantry, special services. Community lunches: 11:30-12:30 daily; community dinner, 4:15 PM - 5 PM daily. Contact for hours: 526 West Faulkner, El Dorado. 870-875-2099.. Contact: 608 Martin Luther King, El Dorado. Call for hours, 870-862-6271. Contact: 901 South Washington, El Dorado (Southside Baptist Education Building) 870-862-3063. Contact: 201 West 7th Street, Smackover. 870-725-3941. 309 Pine Street, Crossett. 870-364-9551. Contact: 648 Sturgis, Hampton. Susan Johnston. 870-798-2457, 870-798-4923. Contact: 1300 East University, Magnolia. 870-234-5594. Contact: 121 Harrison Ave. SW, Camden. 870-836-6871. Contact: 3150 Hwy. 7 South, Camden. 320-523-6551. As a service to students, alumni, and employers, SouthArk's career services department will utilize this Job Board to post approved available positions sent to the department. Positions will be posted for two weeks and will be removed on the second friday after the "Date Posted Here" date unless career services has been notified that positions have been filled sooner.